So how to get and (the most important!) stay motivated? A good way to be continuously self-motivated is to implement some motivational tips. Here I will try to put them in points that are easy to follow. 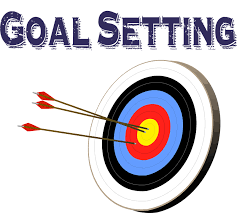 Setting goals is an essential step of any development (read my other post on setting goals). By setting a goal you make a decision to act upon what you want. This gives you a direction to focus on. Some goals can be very big and to achieve them you require a lot of strength and patience. Because people can be very easily discouraged and loose their motivation it is advisable to break up the goals into smaller achievable sub-goals which can be reached easier and quicker. It gives you a feeling of achievement and satisfaction that keeps your motivation going. Start simple and build on it bigger and bigger things. 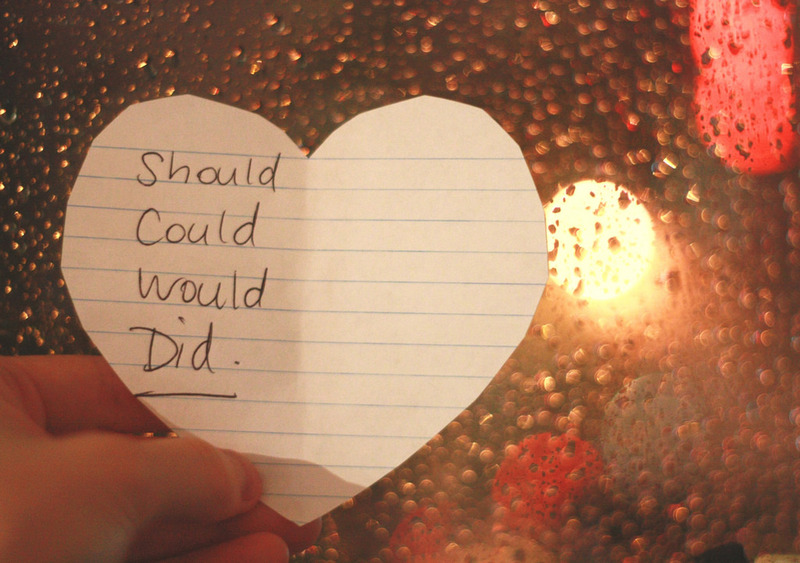 Breaking up your task into achievable chunks helps build your confidence. Being too harsh on yourself doesn’t help, it can actually make you feel dispirited. Stay positive by keeping in touch with positive and motivated people who wish you well. See the good in any bad event. You want to get into the habit of looking for what works to overcome an obstacle when you encounter any. Learn from your mistakes and failures- there are the best teachers (read my post about failures). Don’t get discouraged when you didn’t finish something in a given time, learn how to get better in a next go. It is nothing else that another lesson to be learn. Perseverance and constant adjusting of your approach is a way to go. But there are some days when you just need to stop and have a moment for yourself. Sometimes what you need is a short break to recharge. It can give you a fresh perspective and put you back on track. Tracking your progress gives you an evidence that what you do toward your goal is actually working . 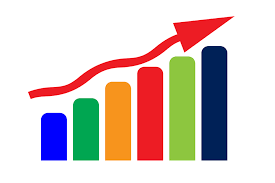 Drawing a chart or creating any visual representation of how you are coming closer to achieving something can be very motivating. Keep a progress bar for ongoing projects. Seeing yourself moving closer and closer to your set goal makes you feel motivated and fulfilled. Any time you achieve something, even a small victory, you should give yourself a pat on a back. Promise yourself some sort of small reward for your hard work each time you complete a task. Do something nice for yourself, spoil yourself a little. Even a small reward is a great motivator. Celebrate your accomplishments! Keep learning, keep learning, keep learning! Watch and read motivational stories or speeches- you can learn a lot from them and they allow you to stay elevated and excited for the future. 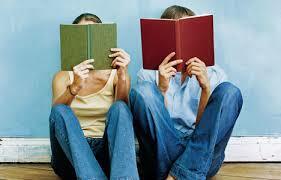 Discover new sense of motivation by reading personal development and motivational books. You will reveal new tips to keep yourself motivated and centered on your goals as well as grow as a person. The more you learn, the more confident you become. Do you have your special tips to stay motivated? What are they? Please share your ideas to keep your motivation going by leaving a comment below. ← April 2016- Traditional book, e-book or audiobook- which one do you prefer? Great post. I like the idea of tracking progress and giving rewards – I use my activity tracker to help meet my fitness goals and the one i use awards badges when I walk so many paces or climb so many stairs. WIth modern technology there are so many more ways to stay motivated. Thanks. Hi Sarah, same as your activity tracker for keeping your fitness goals you can use progress tracking for any other goals. I’m pretty sure there are some apps which could help keep track on that. Cool and inspiring article! 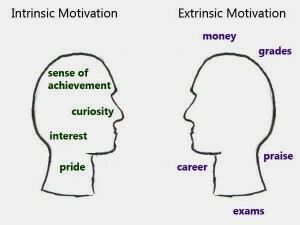 Damn, thousands of people are lacking in motivation when they set goals that are too big. Yeah, you guessed it, that’s me. Definitely distractions can be a big problem. Limiting the time you spend on social media and making a plan of action for your goal would help. Good luck with keeping your motivation going! thanks you for this motivating article. When I have a big task, then I used the technique, you described here. I make a statistic about my progress or the progress of the project. This really helps me. Another trick is the why. Why do I want to accomplish this goal. If you know the why, the rest will be easy (more or less). Thanks Bernd! I think this is a great tip- ask yourself why you want to achieve your goal. If this goal is important for you and your “why” are strong enough- this should keep you motivated. Thank you for a great post! It is really hard to keep motivated and trying to do things according to a schedule when you are at the beck and call of two young kids. But I like the idea of giving myself small rewards after I have completed certain parts of my planned schedule. Even if its something simple like taking a little rest and having a cup of tea. Hi Stella, I now how it is with two small kids around 🙂 You should reward yourself for every small achievement! You deserve it! In the last I really underestimated how effective it is to break your goals into smaller chunks and track your progress as you go. Now I do this all the time and I am learning heaps along the way. I pause at the end of the week to see what worked and what didn’t and adjust as I need to. But I think the best way to stay motivated is to try and do a little something every single day towards your goals-even if you can only devote 10 mins to a task-just do it anyway because it is all about momentum. I’m happy that you found your little tricks to help with the motivation. Good luck with your goals Liz! Hello there, great post. The way I stay motivated is by committing my goals to a journal. Anything important that I do has a designated notebook and in that notebook I track my progress daily and write down check-lists of what to do. I find that this method keeps me accountable on a daily basis. I like your recommendation of breaking down big goals into smaller achievable goals. I feel like that would be an easier load to carry around. This is a great way to keep track on progress in achieving your goals. Good luck with all your goals Alex, and thanks for your comment! In the past, I always accomplished goals and pushed through to the finish line despite of being harsh on myself and using negative reinforcement. I had no problem with it although I was often stressed out and felt pretty burnt out after my accomplishments. However, this new pursuit that I started about a year ago, was very tough and using negative reinforcement wasn’t driving me to push myself and continue on but it was making my journey unbearably rough. Because you tend to fall on the face of the earth over and over again depending on how you look at it. So whipping myself over and over again wasn’t making me motivated to go further but eventually I started questioning myself for the first time in my life, is this even worth it? But I was never someone to ever give up on my goal and I needed to figure out a way to stay on the path. So I started implementing positive approach. I lessened the pressure by not constantly telling myself to push myself harder but to appreciate small victories or small progresses. And I’d make sure I give myself plenty of praises and “pats on my back” every single day for attempting. So far it’s been pretty effective, and definitely made my journey easier and more exciting. Thanks for sharing Joon! Positive approach always works better! Wish you all the best for your personal development journey! great article to read while i was feeling a bit run down on my online business. I think by tracking your progress and setting goals is defiantly a really good drive for you to keep going. One thing i do forget to do is reward my self every step of the way as i’m glued to the end vision. Funnily i’m writing this at 3 am in the morning here in Australia while reading your article. Really needed to read this to keep finding that drive. Also, 100% right about never stop learning. A lot of folks become complacent and stop achieving new goals via learning new things. Very wise tips on how to stay motivated, these tips with practice will help everyone develop the habits to stay motivated in anything you wish to do. Would you happen to know of any good motivational books you could recommend me and your other readers? I especially am interested in books with daily motivational quotes to stay motivated 365 days of the year.